Wayfair Pricing & Profitability Co-op July-December 2019 Wayfair believes everyone should live in a home they love. Through technology and innovation, Wayfair makes it possible for customers to quickly and easily find exactly what they want from furnishings, décor, home improvement, housewares and more. We are always looking for imaginative, analytical, and adaptable people to join our home team. You’ll find a dynamic atmosphere where learning and growth opportunities are abundant, and hard work and results are rewarded. We’re a diverse community of innovators, risk-takers, and trailblazers who know that our unique perspectives make us stronger, smarter, and well-positioned for success. Every voice, every perspective matters. We are proud to be an equal opportunity employer. At Wayfair, you can explore your potential outside of the classroom and take the lead on high-impact projects. You’ll find autonomy, mentorship, and development opportunities in an open and collaborative environment. If you’re looking for a challenging and fulfilling career, make yourself at home. THE OPPORTUNITY: PRICING & PROFITABILITY CO-OP At its core, the Pricing & Profitability team is focused on steering growth strategy and billion-dollar P&L management across Wayfair’s product verticals, by leveraging highly quantitative business analytics and cutting-edge data science techniques. This team directly controls Wayfair’s dynamic pricing and product sorting capabilities to manage the delicate tradeoff between short and long term profitability, while working cross-functionally to affect selection, merchandising, operations, and site traffic initiatives. Co-ops leverage unique, proprietary, and massive datasets coupled with a constant flow of experimentation on consumer response to answer thorny strategic questions that guide go-to-market strategy. In addition, they use a highly technical skillset to ensure the team’s systems, algorithms, and business logic are deployed at scale and operate flawlessly. Strong candidates will be highly entrepreneurial, excited to analyze big data, and eager to engage as a thought leader while collaborating with a highly cross-functional group of business partners. About the Co-op Program: Wayfair Co-ops will play a critical role in Wayfair’s growth strategy and competitive positioning by leveraging data-driven analyses and innovative approaches to drive results for internal and external business partners. Successful Co-ops are quantitatively-oriented, endlessly curious, and thrive in fast-paced and collaborative environments. This is an ideal opportunity for students who are interested in joining a $5.7 billion tech company with a culture of innovation and the opportunity for immediate growth and impact. As a Co-op, you’ll gain exposure to the technology and ecommerce space, develop hands-on analytical and technical skills, and work closely with core business functions to drive real impact and results. Previous work experience (internship, summer job, or co-op) is preferred. Qualifications: Strong academic record Demonstrated leadership through campus involvement; former internship, summer job, or co-op experience is preferred Exceptional problem-solving and analytical skills Creative and innovative approach to solving problems; a desire to make processes better Entrepreneurial spirit and a demonstrated self-starter mentality Ability to juggle multiple projects simultaneously Interest in working hard and being challenged in a fast-paced environment Strong written and verbal communication skills Positive, people-oriented, and enthusiastic attitude Proficient with MS Excel Experience with programming language (SQL or R) is a plus Apply via Skillist to the Pricing and Profitability Co-op role! There are a few options to apply for this role. You are welcome to use this traditional resume drop and application, apply via Skillist (linked below), or you can do both! Skillist is a hiring platform we partner with to help with our assessments and drive accessibility of our hiring processes. We know that Skillist looks different than the resume based application you're used to. Wayfair and Skillist believe that hiring based on skills is a much fairer and more effective way for employers to get to know applicants and would encourage you to consider utilizing Skillist to apply. Copywriter Co-op– Fall 2019 Our Fall Co-op Program is 24 weeks commencing in July and ending in December. Co-ops at Wayfair Wayfair is seeking a Copywriter Co-op to join its team. Ideal for current students, this role offers one-of-a-kind insight into the day-to-day of working for an in-house creative department. ● Drafting, editing, and assisting with sale names and descriptions ● Collecting our previous work and tagging it for re-use ● Maintain an organized and updated library of copy messaging ● Coordinating sign-offs with buying and marketing teams ● Proofreading and fact-checking copy ● Monitoring our advertising, site pages, emails, and more for out-of-date, inconsistent, or off-brand wording ● Researching subject matter, competitors, and ecommerce trends Qualifications: ● Portfolio with relevant work ● H ungry self-starter always looking for new ways to contribute ● Impressive organization skills and attention to detail ● Willingness to manage multiple projects and last-minute requests ● Ability to work effectively in a fast-paced and always-changing environment ● Reliable, accountable, and always ahead of the game ● Appreciation and consumption of lifestyle media and brands is a plus Wayfair believes everyone should live in a home they love. Through technology and innovation, Wayfair makes it possible for customers to quickly and easily find exactly what they want from furnishings, décor, home improvement, housewares and more. We are always looking for imaginative, analytical, and adaptable people to join our home team. You’ll find a dynamic atmosphere where learning and growth opportunities are abundant, and hard work and results are rewarded. We’re a diverse community of innovators, risk-takers, and trailblazers who know that our unique perspectives make us stronger, smarter, and well-positioned for success. Every voice, every perspective matters. We are proud to be an equal opportunity employer. At Wayfair, you can explore your potential outside of the classroom and take the lead on high-impact projects. You’ll find autonomy, mentorship, and development opportunities in an open and collaborative environment. If you’re looking for a challenging and fulfilling career, make yourself at home. Wayfair generated $5.7 billion in net revenue for the twelve months ended June 30, 2018. Headquartered in Boston, Massachusetts with operations throughout North America and Europe, the company employs more than 9,700 people. Creative Project Manager Co-op– Fall 2019 Our Fall Co-op Program is 6 months commencing in July and ending in December. Co-ops at Wayfair Wayfair is seeking a Project Manager Co-op to join its team. Ideal for current students, this role offers one-of-a-kind insight into the day-to-day of working for an in-house creative department. ● Working in an ever-changing creative environment, that presents exciting challenges and rewards initiative and problem-solving skills ● Supporting producers with asset creation management in 3D, video and photography ● Effectively communicating project updates amongst a group of producers and stakeholders ● Supporting creative ticket management ● Talent research, location research, product logistics, invoicing, and scheduling Qualifications: ● Hungry self-starter always looking for new ways to contribute ● Impressive organization skills and attention to detail ● Willingness to manage multiple projects and last-minute requests ● Reliable, accountable, and always ahead of the game ● Appreciation and consumption of lifestyle media and brands is a plus ● Great attitude and a sense of humor Wayfair believes everyone should live in a home the y love. Through technology and innovation, Wayfair makes it possible for customers to quickly and easily find exactly what they want from furnishings, décor, home improvement, housewares and more. We are always looking for imaginative, analytical, and adaptable people to join our home team. You’ll find a dynamic atmosphere where learning and growth opportunities are abundant, and hard work and results are rewarded. We’re a diverse community of innovators, risk-takers, and trailblazers who know that our unique perspectives make us stronger, smarter, and well-positioned for success. Every voice, every perspective matters. We are proud to be an equal opportunity employer. At Wayfair, you can explore your potential outside of the classroom and take the lead on high-impact projects. You’ll find autonomy, mentorship, and development opportunities in an open and collaborative environment. If you’re looking for a challenging and fulfilling career, make yourself at home. Wayfair generated $5.7 billion in net revenue for the twelve months ended June 30, 2018. Headquartered in Boston, Massachusetts with operations throughout North America and Europe, the company employs more than 9,700 people. 3D Visual Artist Co-op– Fall 2019 Our Fall Co-op Program is 6 months commencing in July and ending in December. Co-ops at Wayfair Wayfair is seeking a 3D Visual Artist Co-op to join its team. Ideal for current students, this role offers one-of-a-kind insight into the day-to-day of working for an in-house creative department. ● Collaborate and with your manager on finding solutions to various process issues. ● Organize, Polish and Render 3d assets and make them available to the Art team ● Test, review, and provide process feedback and provide solutions on imagery in regard to Model ● Conversion, Materials, Props, Automation and Architecture. ● Use 3ds Max and Photoshop to create and inspect imagery Qualifications: ● Ability to use 3DS max and photoshop ● An excellent eye for detail and a portfolio that demonstrates your abilities ● Hungry self-starter always looking for new ways to contribute ● Impressive organization skills and attention to detail ● Willingness to manage multiple projects and last-minute requests ● Reliable, accountable, and always ahead of the game ● Appreciation and consumption of lifestyle media and brands is a plus ● Great attitude and a sense of humor Wayfair believes everyone should live in a home they love. Through technology and innovation, Wayfair makes it possible for customers to quickly and easily find exactly what they want from furnishings, décor, home improvement, housewares and more. We are always looking for imaginative, analytical, and adaptable people to join our home team. You’ll find a dynamic atmosphere where learning and growth opportunities are abundant, and hard work and results are rewarded. We’re a diverse community of innovators, risk-takers, and trailblazers who know that our unique perspectives make us stronger, smarter, and well-positioned for success. Every voice, every perspective matters. We are proud to be an equal opportunity employer. At Wayfair, you can explore your potential outside of the classroom and take the lead on high-impact projects. You’ll find autonomy, mentorship, and development opportunities in an open and collaborative environment. If you’re looking for a challenging and fulfilling career, make yourself at home. Wayfair generated $5.7 billion in net revenue for the twelve months ended June 30, 2018. Headquartered in Boston, Massachusetts with operations throughout North America and Europe, the company employs more than 9,700 people. Design Co-op– Fall 2019 Our Fall Co-op Program is 24 weeks commencing in July and ending in December. Co-ops at Wayfair Wayfair is seeking a Design Co-op to join its team. Ideal for current students, this role offers one-of-a-kind insight into the day-to-day of working for an in-house creative department. ● Support marketing initiatives by producing creative assets for email, landing experiences and print collateral in close collaboration with designers and copywriters ● Perform reviews, analysis, and cataloging of lifestyle photography and logos; sort, add tags and metadata to images in a Digital Asset Management Tool ● Create and communicate weekly / daily project updates and task lists to creative team members ● Maintain internal documentation of lifestyle photography, suppliers and various project streams Qualifications: ● Currently enrolled in a design program or related area of study ● Technical proficiency in graphic design, photography, graphic rendering, or an equivalent skillset ● Proficient on MAC OS and Adobe Creative Suite ● Analytical, creative, and innovative approach to solving problems ● Obsessive about organization ● High degree of comfort with change ● Familiarity with Wayfair brands ● Enthusiasm for home furnishings and e-commerce ● Great attitude and a sense of humor ● Experience working with, or on a Creative team is a plus! Wayfair believes everyone should live in a home they love. Through technology and innovation, Wayfair makes it possible for customers to quickly and easily find exactly what they want from furnishings, décor, home improvement, housewares and more. We are always looking for imaginative, analytical, and adaptable people to join our home team. You’ll find a dynamic atmosphere where learning and growth opportunities are abundant, and hard work and results are rewarded. We’re a diverse community of innovators, risk-takers, and trailblazers who know that our unique perspectives make us stronger, smarter, and well-positioned for success. Every voice, every perspective matters. We are proud to be an equal opportunity employer. At Wayfair, you can explore your potential outside of the classroom and take the lead on high-impact projects. You’ll find autonomy, mentorship, and development opportunities in an open and collaborative environment. If you’re looking for a challenging and fulfilling career, make yourself at home. Wayfair generated $5.7 billion in net revenue for the twelve months ended June 30, 2018. Headquartered in Boston, Massachusetts with operations throughout North America and Europe, the company employs more than 9,700 people. 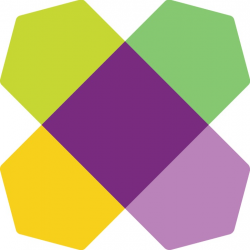 Wayfair Data Science Opportunities – Co-op (July 2019 Start) Wayfair believes everyone should live in a home they love. Through technology and innovation, Wayfair makes it possible for customers to quickly and easily find exactly what they want from furnishings, décor, home improvement, housewares and more. We are always looking for imaginative, analytical, and adaptable people to join our home team. You’ll find a dynamic atmosphere where learning and growth opportunities are abundant, and hard work and results are rewarded. We’re a diverse community of innovators, risk-takers, and trailblazers who know that our unique perspectives make us stronger, smarter, and well-positioned for success. Every voice, every perspective matters. We are proud to be an equal opportunity employer. At Wayfair, you can explore your potential outside of the classroom and take the lead on high-impact projects. You’ll find autonomy, mentorship, and development opportunities in an open and collaborative environment. If you’re looking for a challenging and fulfilling career, make yourself at home. Wayfair generated $5.7 billion in net revenue for the twelve months ended June 30, 2018. Headquartered in Boston, Massachusetts with operations throughout North America and Europe, the company employs more than 9,700 people. THE OPPORTUNITY Wayfair is seeking energetic, curious and action-oriented Undergraduate, Master’s, and PhD students with an interest in a career in Data Science. Our current team members have a diverse skill sets across economics, quantitative sciences, math and engineering. They are dedicated to solving some of the most analytically challenging problems here at Wayfair. Wayfair hires Data Scientists into two core business areas. Team placement is determined through the application and interview process and is dependent on a combination of interest, skills and experience, and growth potential. When applying, please indicate your top choices for area of interest (in order of preference). If we notice a stronger alignment for a team other than those indicated in the application, we will also consider you for that opportunity. No matter the track that you take you will have the opportunity to play a critical role in the company while also operating with a high level of executive visibility. Each division is focused on creating strategic solutions that steer customer behavior, influence key decision making and quantify our impact within the e-commerce space. Our diverse and fun teams enjoy an environment of strong ownership and quick feedback from building, experimenting and iterating on high-impact work. Functional areas and potential team placements include: MACHINE LEARNING SCIENTIST As a Machine Learning Scientist you will work in one of the following areas: Personalization builds sophisticated platforms designed to personalize customer experience to millions of unique shoppers across site and email. This includes working on different types of recommendations engines, as well as algorithms that machine-learn complex shopping behavior. The goal is to be intelligent and automated in making the experience more relevant for every user. Marketing builds the framework and algorithms that help guide Wayfair’s $250M+ annual marketing investment. The work touches all marketing channels (TV, catalog and digital) and aims to improve our ability to measure marketing impact, improve our customer targeting and optimize our investments across millions of marketing campaigns. Operations builds data-driven solutions to support Wayfair operations teams, including Merchandising Operations, B2B, Supplier Performance, and Customer Service. The big goals are to enhance Wayfair’s behind-the-scenes operational capabilities through rigorous use of algorithms and analysis. ALGORITHMS The Algorithms group is a group of data scientists who design centralized systems to operate key business levers in e-commerce. These include global strategic management of dynamic pricing and sort recommendation algorithms, which are responsible for controlling the levels of consideration and exposure over millions of products worldwide. Day-to-day, Algorithms collaborates closely with business stakeholders to formulate these problems and mine terabytes of data to unearth deep insights that anchor the principles behind our solutions. As the largest and fastest growing e-commerce technology company in the home space, Wayfair interacts with a large volume of product data, user data and order data. This makes predictive analytics solutions critical to managing prices and providing core business solutions. The Algorithms Unit develops solutions that affect billions of dollars in revenue and has end-to-end responsibilities for projects. These include data exploration, model selection, optimizing fit, running machine learning algorithms at scale and iterating with experiments for long-term improvement. QUALIFICATIONS The co-op program begins in July 2019 and is a full-time role for six months or more (start dates flexible). Must be enrolled in a university cooperative education program to apply. Currently enrolled in an undergraduate, Master’s, or PhD degree program at a top-tier institution with a strong academic track record. Currently obtaining a Degree focused within either Statistics, Economics, Mathematics, Computer Science or other major with a heavy quantitative concentration. An affinity for data along with experience leveraging statistics and regression analysis is a plus. Experience with or an interest and ability to quickly learn SQL and Hadoop. Experience with or interest and ability to quickly pick-up programming skills relevant to data science such as Python and R. Quick learner with an analytical approach to solving problems who has good communication skills. Must be a hard worker who enjoys solving challenging problems in a fast-paced environment.